When Werner Herzog eventually dies – which I imagine he hopes will come at the expense of something related to art, and maybe even captured on film – I sincerely hope there is a stipulation in his will mandating that his body be examined by eager scientists. Through his remarkably eccentric career, he’s traveled to an evacuated Guadeloupe in hopes of filming a volcano that is set to erupt at any moment; he’s hypnotized his entire cast while shooting a film; dragged a ship over a mountain; threatened to kill the star of his movie; been shot at by the star of his movie; been shot in the abdomen during a television interview; spent time on Antarctica; eaten his own shoe; and directed a damn fine Nicolas Cage film. In short, the man has done it all, and, thankfully for us, he shows no sign of ceasing his obsession with testing himself. 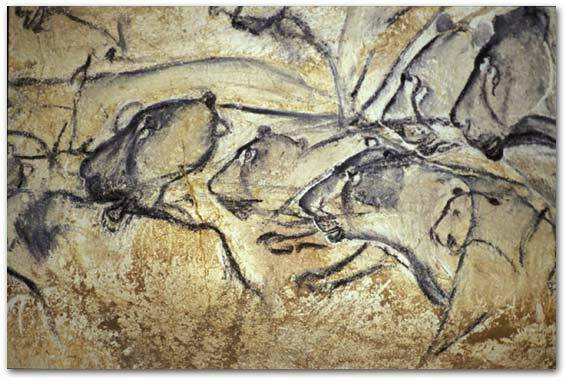 His latest self-imposed challenge was butting up against the French ministry in hopes of getting access to the Chauvet caves of Sothern France. When three men discovered the caves in 1994, they had no idea that the plentiful drawings that wallpapered the interior of the caves were more than 33,000 years old, by far the oldest known graphic creations in history. But, for several bureaucratic reasons, the caves have only been open to a slew of scientists, far from public view. Until now. I know what you’re thinking: how can 3D possibly enhance a flat surface? My answer: I have no idea. But believe me, it does. Herzog’s camera slowly swoops in and around assorted stalagmites to uncover works of art that will leave you speechless. Painted on the walls is everything from handprints to various animals. Some of the animals’ features are outlined with fuzzy lines, giving off the sense of movement, “much like still photos that make up an animated film,” Herzog says in his soothing narration. The shots inside the cave are nothing short of miraculous, a sensation that is only enhanced by the 3D technology. Most 3D films currently littering theatres are converted after the fact, which is a technical way of saying that you paid an extra $4 for absolutely nothing. And the legitimate 3D films spend a bulk of their running time reminding you that the movie is in 3D, usually by having assorted objects thrown at the screen. Cave of Forgotten Dreams is different. 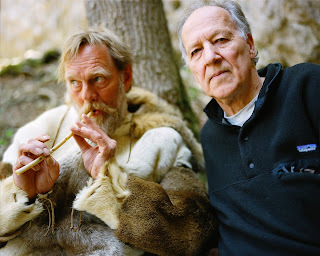 Not all of the film is in 3D, a point Herzog discloses early in the film, but the scenes that are in 3D use the technology to help fuel the atmosphere of the story. There are no cheap parlor tricks; no ridiculous gimmicks. It’s the real deal; and it makes a movie about cave paintings, which could understandably sound drab to some audience members, imperative viewing for any cinema enthusiast. Werner Herzog is upfront with his proclamations. He has no problem blending truth with fabrication, declaring that his documentaries contain fiction and his narrative films contain fact. Little Dieter Needs to Fly and Rescue Dawn, for example, tell the same story about the same man. One is a documentary; the other is a narrative film. Both have truths, both have inaccuracies, Herzog has said.